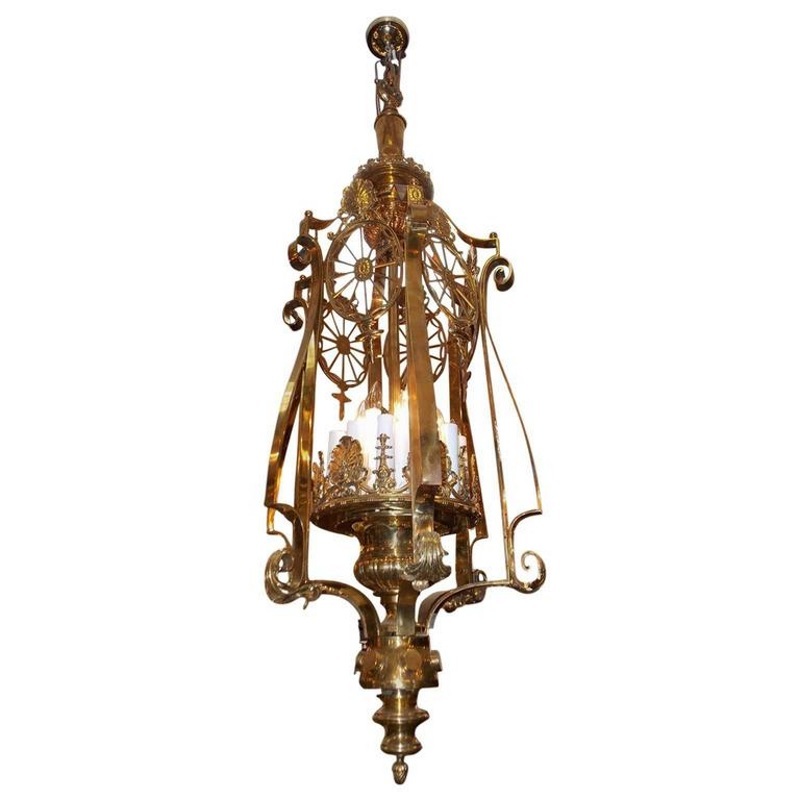 American monumental brass twenty one light hanging lantern with a urn finial top, flanking sea shell oval medallions, scrolled exterior acanthus supports, interior shell and foliage motif, and terminating on a graduated finial with a pine cone motif. New York, 19th Century. Originally gas and has been electrified.